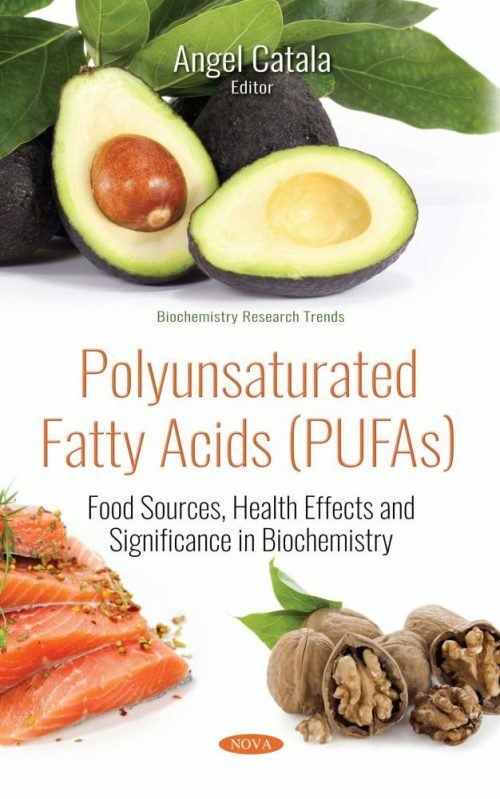 This book presents an overview of polyunsaturated fatty acids (pufas): food sources, health effects and significance in biochemistry. The topics analyzed cover a broad spectrum of polyunsaturated fatty acids and present new information in this area of research. The topics analyzed include: microalgae as a source of omega-3 polyunsaturated fatty acids; polyunsaturated fatty acids (pufas) in human health; polyunsaturated fatty acids in artificial membranes modeled by the langmuir monolayer technique; lipid peroxidation at the cross roads of cell proliferation and cancer; advancement in the knowledge of polyunsaturated fatty acids, from discovery to now; the discussion of whether or not polyunsaturated fatty acids are beneficial for failing hearts; polyunsaturated fatty acids (n3) of vegetal origin; proteomic approaches to understand the health effects of marine omega-3 pufa; essential fatty acids; and health implications and threats to sources. Chapter 6. Are Polyunsaturated Fatty Acids Beneficial for Failing Hearts?